Spring infuses me a kind of energy that makes me vibrate and get things done! After months of hibernating, we finally attacked my “to-do” list. 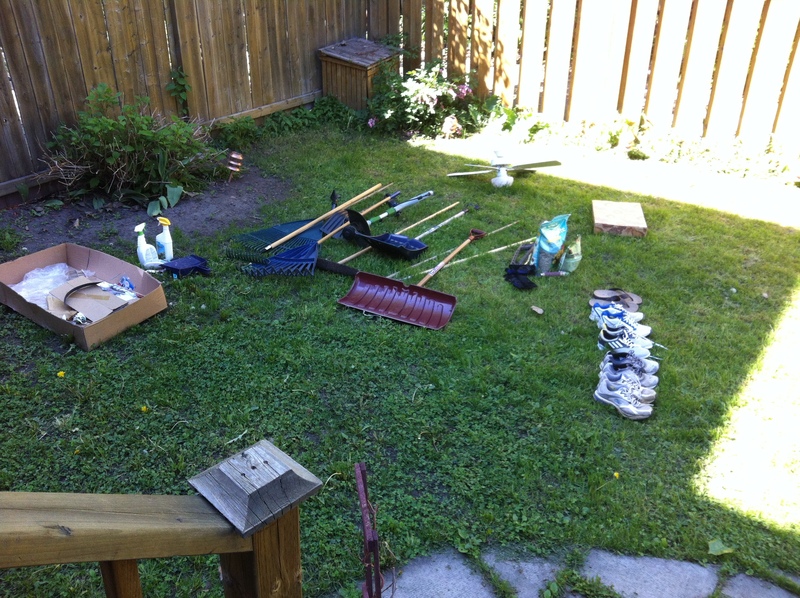 Instead of trying to get it all done on one long weekend, we tackled three projects. 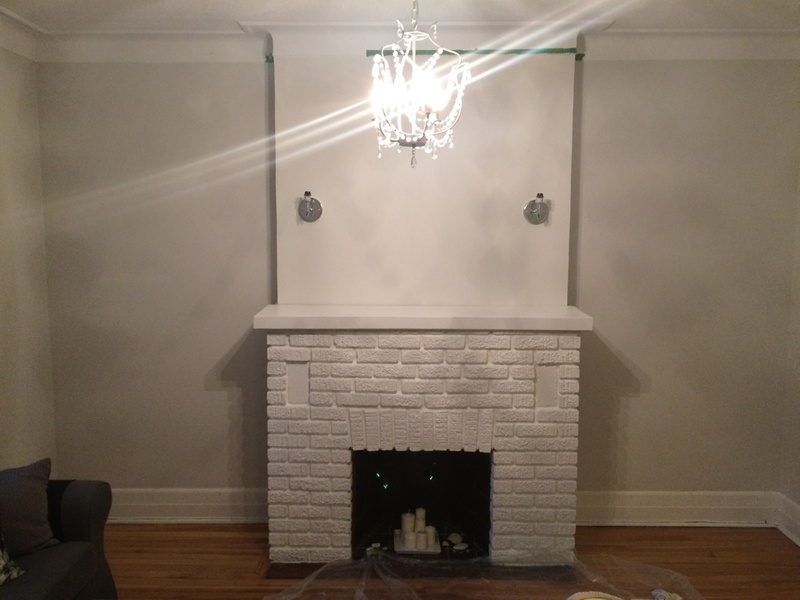 1 – Paint fireplace mantle white. The mantle of my fireplace was black and it made the whole room feel heavy. 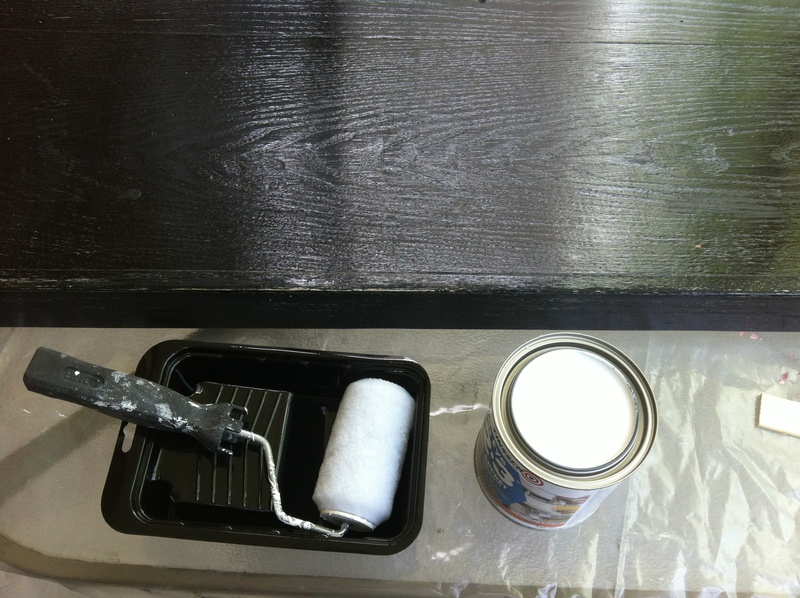 I painted two layers of primer to cover that up, and then added two coats of Benjamin Moore Oxford White paint. 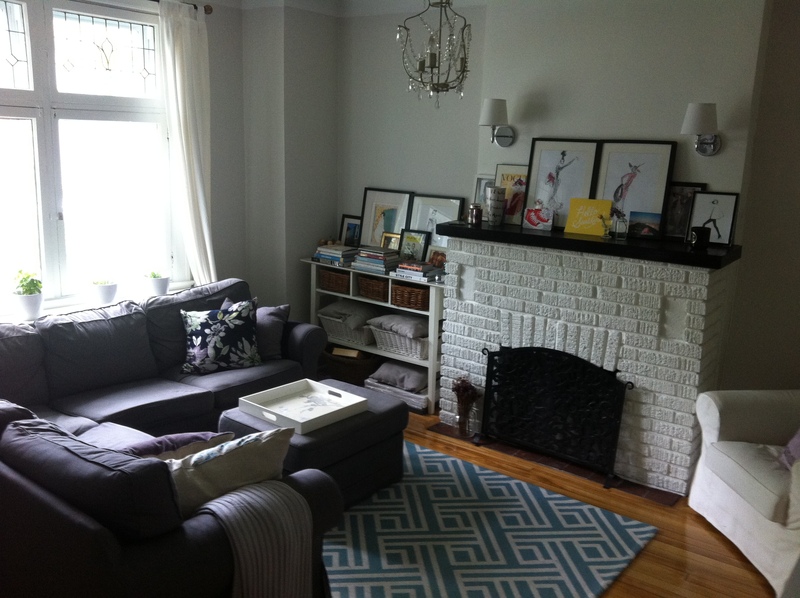 Now the room feels lighter and flows better with the dining room, which is also grey and white. 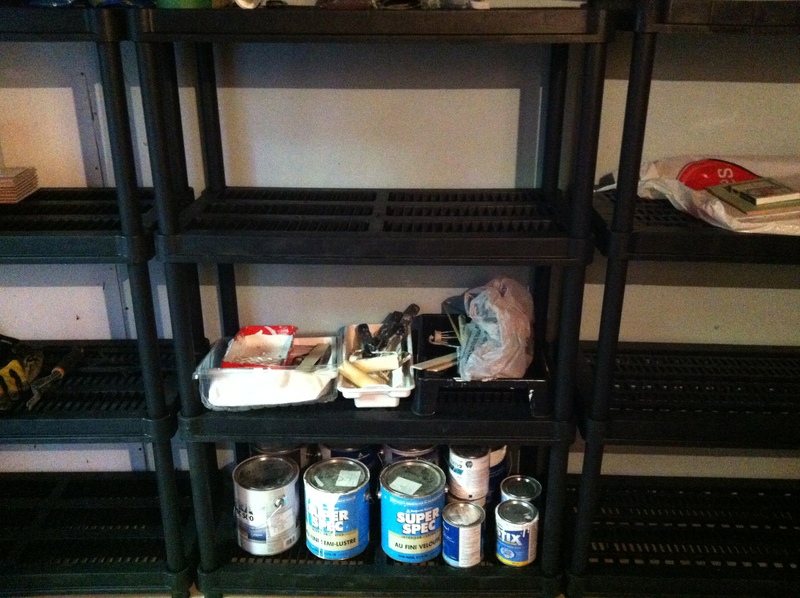 2 – Create storage in our garage. If this before image wasn’t so hilarious to me, I wouldn’t even put it on social media just to avoid sheer embarrassement, but both the before and after shots make me laugh. This is not a beautiful after picture, but the fact that we now have storage in the basement makes me feel like a superhero. We learned a few things too. For example, read instructions before you assemble even the most basic of shelving units so as not to build it upside down. Also, throw away strange bags of grass food (I think it was) that previous owners have left behind. If they didn’t want it, chances are you don’t either, and finding that out after it spills all over you is no picnic. I don’t know where I found the Herculean strength to cart everything out of the garage, organize it on our lawn, and then cart it all back in again, but there you go. I continue to surprise myself. Level of difficulty, very high due to the fact that I refused to go into our garage for about …O…three years. 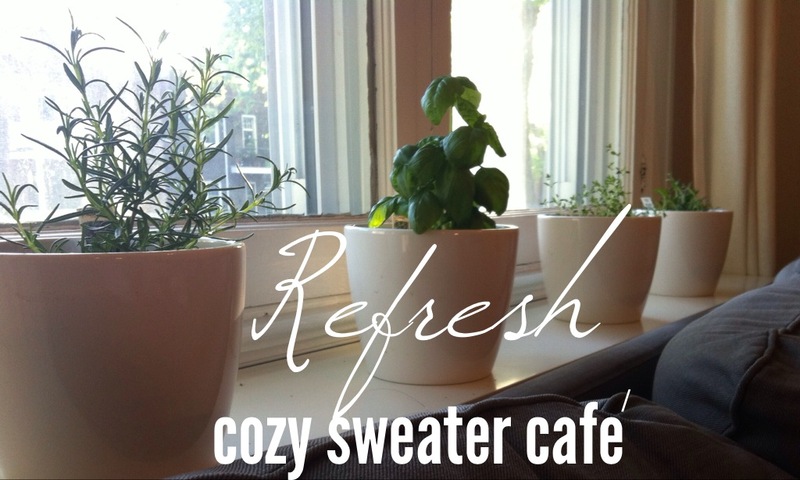 3 – Add some much-needed greenery in the living room. 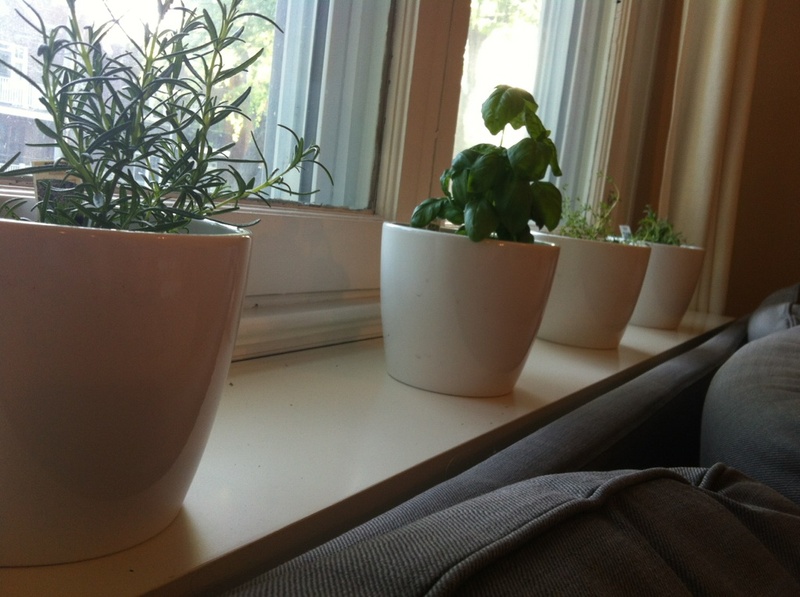 I decided to purchase four small herbs (lavender, basil, thyme and rosemary) and I figured I would put them in mini pots I had at home. It turned out I needed to put them in even bigger pots than I imagined. The four pots were unexpected purchases, but the repotting was fun and the symmetrical display makes me feel uncharacteristically modern and zen in style. I think these are stepping-stones for a “less is more” approach I will be taking. Something feels different in me, and it is refreshing to see it manifesting in my home. Have you made anything FINALLY happen in your home ? HUZZAH!!! You made it happen!! Way to go! But anyways, White all the way! As for our house, still needs oh, about everything done! But I did buy myself a sweet monstera plant, something i had wanted for ages! Funny how fulfilling those little things makes such a huge difference. I must admit I felt like I was cheating on you emeline when I chose white over yellow for the fireplace but I figured you would understand. Sooooooo happy this got done! I want an aerial beach shot above the fireplace but I will check out that site for shizzah. HUZZAH – still my favorite word. I am not over it yet. And yes, am very excited about the white couch cover, I just hope they still have them. I figure if I spill red wine Ill die them pink! HUZZAH! Good for you getting the plant you wanted. We love a good check box checked off! Huzzah! Hahaha. Must stop.